Thanks to Tomoson.com I got the chance to review Sweet Pea The Bumble Bee! Sweet Pea the Bumble Bee is so cute! This book is a really adorable, inspirational book. Each page has really beautiful inspirational sayings along with adorable pictures of Sweet Pea. All of the Sweet Pea The Bumble Books (there are 3 in total) are written by Gabriel & Tiffany Corbett and Courtney Noelle. Sweet Pea is a French Bulldog; and her "parents (Gabriel and Tiffany Corbett) are both photographers. They have captured so many adorable pictures of Sweet Pea. This book is so diverse! It can be used as a Children's Book, an Inspirational Book and can also be categorized with Dog Books. The Sweet Pea The Bumble Bee Books make a great gift! 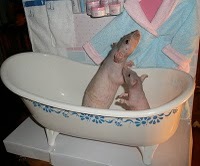 And I know Christmas just passed, but you can also gift this for Birthdays, or even as a "just because." 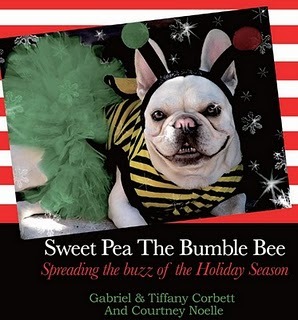 1 of you will receive the same Sweet Pea the Bumble Bee Book I got.